Pak Slamet from the village of Kunden, Klaten Regency in Central Java is a chicken farmer with 1,500 chickens. Because of the location of his chicken farm he was receiving complaints from nearby houses due to the smell of the chicken manure. Pak Slamet needed to find a way to reduce the build-up of chicken manure thus reducing the smell. While researching solutions to the issue of the chicken manure, he came across the Rumah Energi website, which gave an alternative solution to his problem. After researching the biogas digester, Pak Slamet met with Rumah Energi representatives, and the outcome of the consultation process was a 6 m3 biogas digester would suit his waste management and biogas requirements. He self-funded the construction of the biogas digester, and since the installation in February 2017, he has not purchased LPG because the biogas digester is producing enough gas to fuel three gas stoves for 5 hours a day, which meets all the cooking requirements for his family. Another benefit of the biogas digester is it produces a high-quality bio-slurry organic fertiliser, which he gives to his community for free. Therefore, directly benefiting the environment through the reduction of chemical fertilisers. 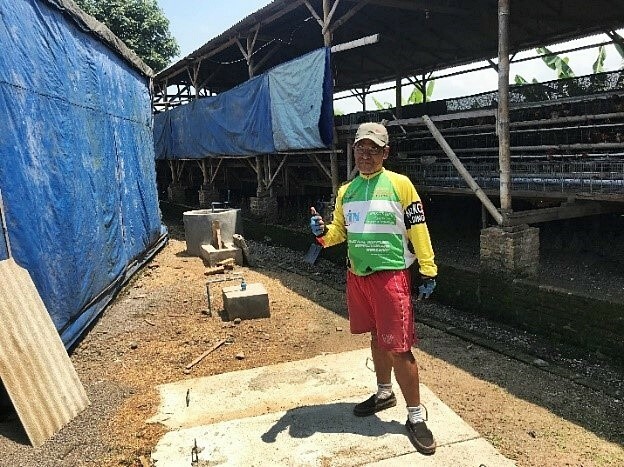 Initially, Pak Slamet wanted to reduce the smell of the chicken manure, but he has created an effective waste management system, which produces enough biogas to live sustainably and is aiding the community in reducing the use of chemical fertilisers. He has become an advocate for the for the biogas digester and has recommended the system to family and community members as a sustainable way to produce biogas for everyday consumption. 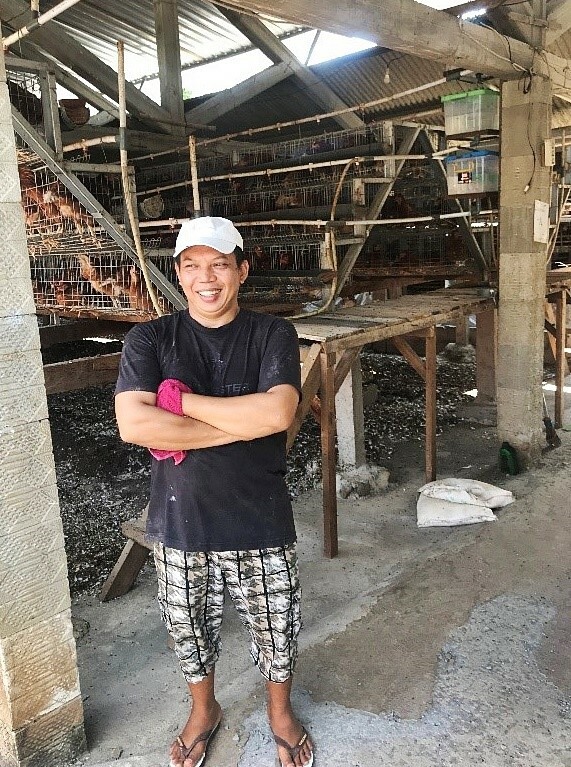 Pak Tono from the village of Kener, district of Kaliwungu, Regency of Semarang in Central Java operates a chicken farm with 10,000 chickens. Pak Tono was for looking for a better way to utilise the chicken manure. Before the biogas digester, his only options were to sell the chicken manure to the local community or let it build up under the cages and wait for the manure to break down naturally. In 2015, after meeting with Rumah Energi representatives, he decided to self-fund the installation of a 10 m3 biogas digester to help with his waste management issue. To maintain a constant supply of biogas, he uses the manure of 600 chickens every three days. In the three years since the installation of the biogas digester, he has not purchase LPG because the biogas digester has provided all his gas requirements. The system produces enough biogas, so he can operate four gas stoves, three at his house, and one for his employees. He utilises the bio-slurry organic fertiliser produced by the biogas digester for fertiliser on paddy fields near his home.